The future of the Southwest branch library site is one of the issues that have come up during the Southwest Neighborhood Plan process, which has been underway since last summer. 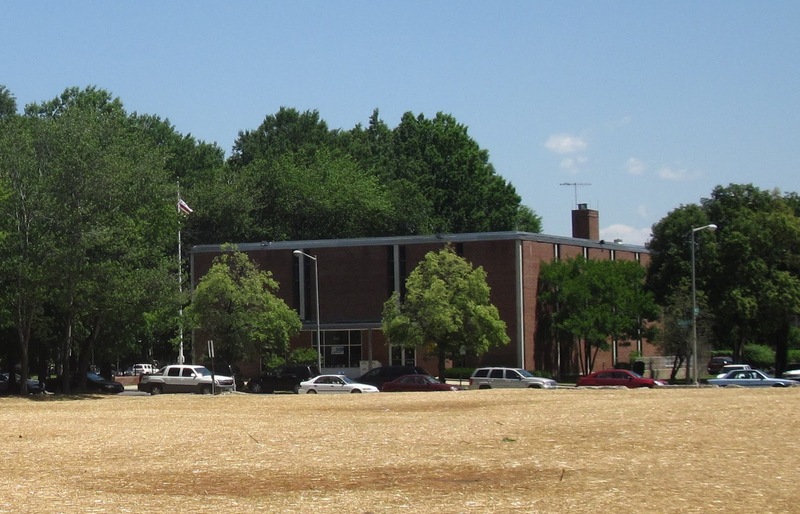 Over $8 million in funding was in the 2012 budget to make substantial renovations to the existing building through 2018, which was built in the 1960s. A mini-makeover was done to the space in 2011. The Office of the Deputy Mayor for Planning and Economic Development and the Office of Planning are pushing for a plan to include a new Southwest library as a component of a mixed use building on a 4th Street parcel the city owns at Waterfront Station. The city has been building several new or substantially renovated libraries recently – mostly as standalone buildings; however, a library in a mixed-use building is planned in the West End and there are plans to potentially put a non-library addition in the flagship MLK library downtown. Theoretically, the current library site would be sold to a developer and a high-rise residential building placed on the site. Moving the library to 4th Street would give it a more prominent location in the neighborhood, but if located on the first floor, it could replace precious retail space planned along 4th. Locations of existing and proposed library sites. Meanwhile, community leaders are calling for a standalone library at its current site, located at Wesley Place and K Street. For instance, in an open letter to the mayor in January, the CBCC called for a standalone library. During the Mayoral and Ward 6 Council forums, most of the candidates stated their preference for a standalone library when asked by the moderator. Some of the new, standalone libraries built in recent years include those in Bellevue, Anacostia, and Deanwood, while others that are architecturally significant have been substantially renovated, such as those in Petworth, Georgetown, and Northeast. A playground is planned (and mostly funded) at the park next door to the current library and would create synergy between the two spaces. 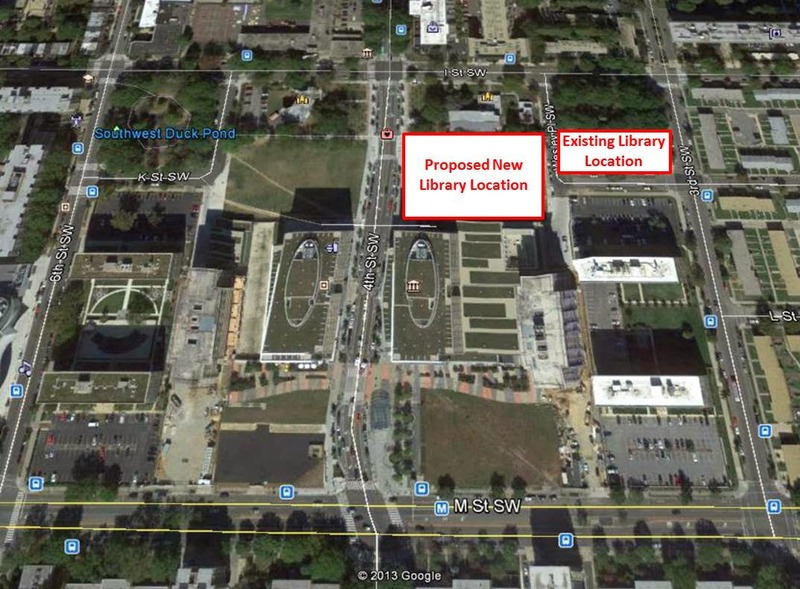 Do you prefer a standalone SW branch library in its current location or one in a mixed use building on 4th Street? Vote in the poll on the left sidebar of the blog and/or leave a comment. Kinda hard to vote on the poll as is. I would much prefer a library incorporated into a mixed use building. The lot is DMPED owned - so incorporating the library into the building "should" be seamless. This is also much more cost effective fot everyone involved, especially if you consider the profit from selling the parcel to a developer. If it is multiple levels, it will reduce the store frontage it takes up. 4th St is having a tough enough time as is filling retail spaces. The library will bring much needed life to the core of SW on 4th St. There are still vacant spots in both of the Waterfront Station buildings. The NW parcel is slated for additional retail as well. Not to mention if but some stroke of luck the two southern Waterfront Station buildings ever get built, I'd assume they would have retail too (perhaps not on 4th St though). re. the high rise in place of the library - what a great idea. Hopefully it will include retail as well (small cafe near the playground/park). Should be condos though. Need more owners in the N' hood. Can't wait to see what the Wharf adds to the mix. Also I hope the soccer stadium gets built. Once more people see the potential for Buzzard Point that area could take off. 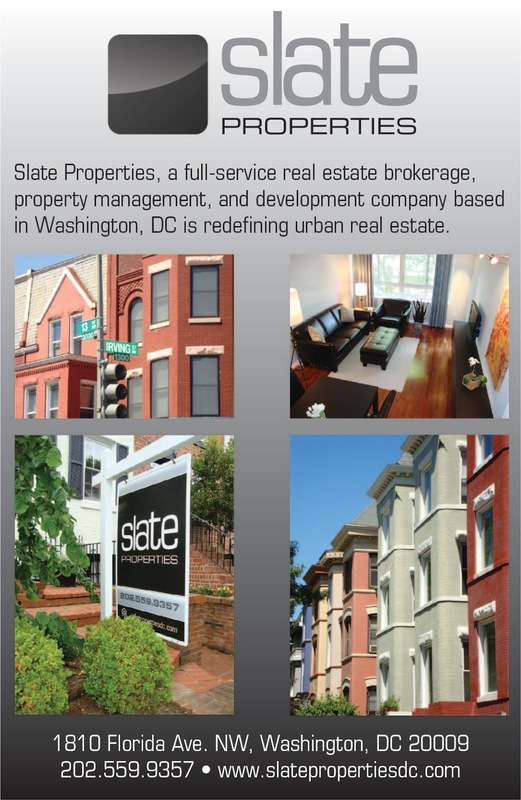 Sandwiched between booming Cap Riv and booming SW Waterfront ON the water. It could be similar to Navy Yard but with more parks and 3x the water frontage. Just imagine! Green Leaf is also a big deal. As much as I sympathize with the issue of affordable housing, the area is too prime for a housing project. Any buzz that would come from 4th St stops now at about 3rd (just one block away). W/o GL that buzz could glide all the way to S. Cap. Lastly, Lansburgh Park is nice, but K and L Sts should connect through it (once GL is gone) AND over S. Cap as well. SWag: You are correct about the poll...I don't know what I was thinking. It's been changed to include answers that make sense. I agree with the concept of locating the library on 4th street but not selling the current library land to a developer. There is no need to loose much retail frontage as part of the deal as libraries make very good 2nd floor candidates, all they need is a highly visible and animated entrance upwards via escalators and other means. The 2nd and even 3rd floor locations are even a bit more serene for reading. I also agree with bringing K st through but the lost park land in doing so should be relocated to the current library location. This would achieve a new park square,generally symmetrical around north/south 4th St, which would be complementary to the duck pond square. I don't know what the new park square could be about, Goose pond? I like the library where it is as a standalone. Twofortheroad's suggestions are probably the best one can hope for if it's moved to 4th street. I like that the only reason right now to go to Wesley Place is pretty much to go to the library. It's close enough to the Metro that if you want to get there, you can, but it's still tucked away at the same time. It would be great to have a new standalone library in the same location. There's enough space and momentum that it could be gorgeous and defining for the neighborhood. HOWEVER, I'd also be open to having the library move to the new Wharf! It's less central in a way, but it's a grand spot for reading a book, right there on the water or looking out onto the river from within! I fear that we would lose the park as well if the library were relocated. I'd be fine with a plan to move the library and turn the entire block into a park as Twofortheroad suggests. Would any of those options be funded though? The new Southwest library should be built as part of a mixed-use development that will provide housing. This location is about a ten minute walk from two metro stations. DC has some of the most expenseive housing in the country, we need more housing options within walking distance of metro-rail stations. By selling the land that the library is located on, a public/private partnership that also includes housing could probably provide a new Southwest library at no cost to DC residents. We missed the opportunity for an excellent mixed-use library in Tenley, directly across the street from a metro-rail station. Let's not make that mistake again. Ideally, I would have preferred for the MLK library to have relocated from its current location near Metro Center to L'Enfant Plaza as part of the Southwest Ecodistrict development. The revenue that the District would have received from selling the library downtown could have substantially funded a new library at L'Enfant Plaza. This would have also encouraged new development and activity (especially activity outside the Mon - Fri business hours) at L'Enfant Plaza. Addtitionally, it would have been as transit accessible as the current MLK library. Regardless of what happens, I think there should be a moratorium on spending for library upgrades and the playground, until an integrated and thoughtful solution is decided upon. Right now, it seems like every idea is disjointed and poorly planned, with no communication between agencies, departments, and groups.